[Campus News] Is It Opportunity? Or Meaningless Tryout? The biggest difference between high school and university lies in having a major and academically learning within a certain field in depth. 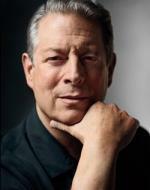 [Campus News] Talking about our future with 'Al Gore"
[Campus News] Just PUSH when you are in an emergency! [Campus News] What is the Prime Target for PRIME? [Campus News] Dream Higher: Be a CAU Campus Mayor! [Campus News] Be Strong: Join CAU ROTC! [Campus News] Assistants for Students with Disabilities! Providing More Opportunities! [Campus News] Scholarship Application Guidance, Campus Life Guidance. [Campus News] Congratulations, French Day! [Campus News] Fill Your Gong-gang with TOEIC!